A multifunctional object of great decorative impact, this ceramic sphere has refined black and white decorations and satin-effect surfaces. 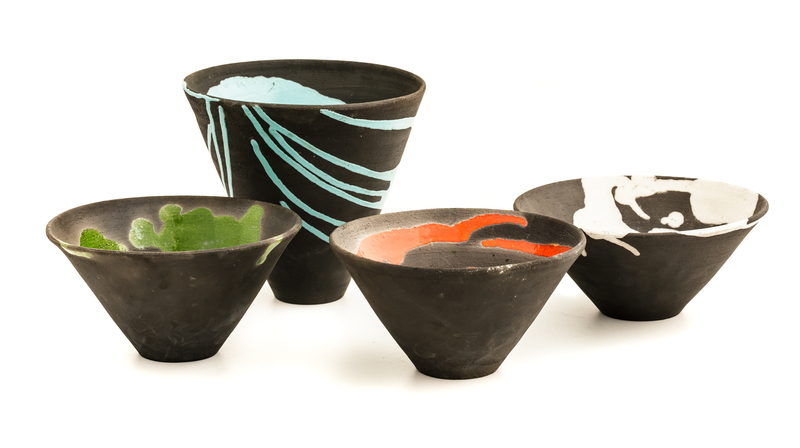 Raku ceramic bowls of various shapes with elegant brightly coloured mottles against the matte black surface. Handcrafted as unique pieces, they are available with various decorations and manufacturing details. The much-loved jug is revisited by the ceramic artist with further simplified lines and vivid full glazing tones. 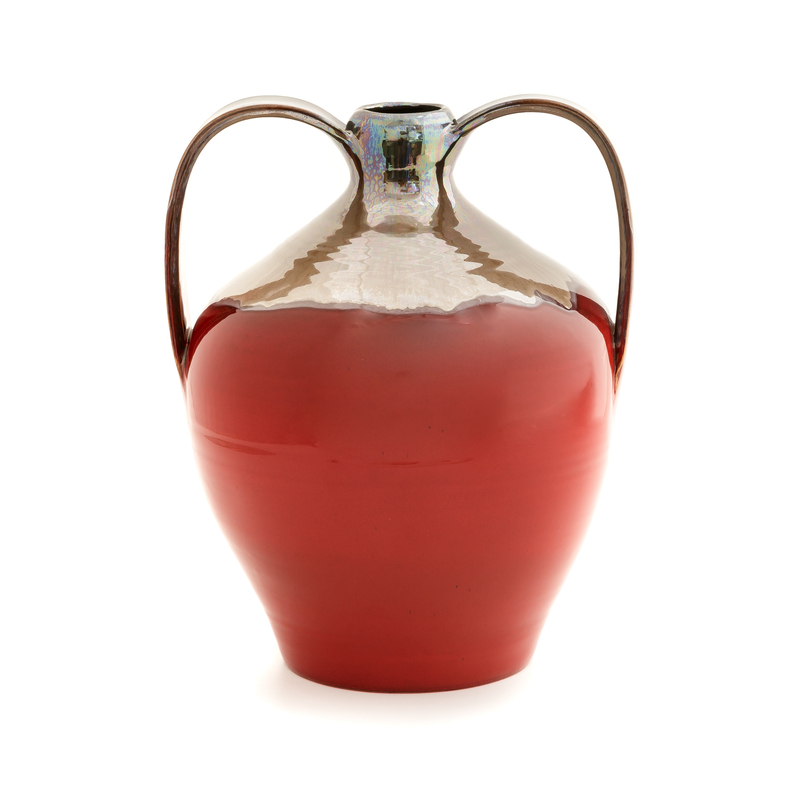 Handcrafted, it is part of the distinctive line of jugs available in many sizes and colours. 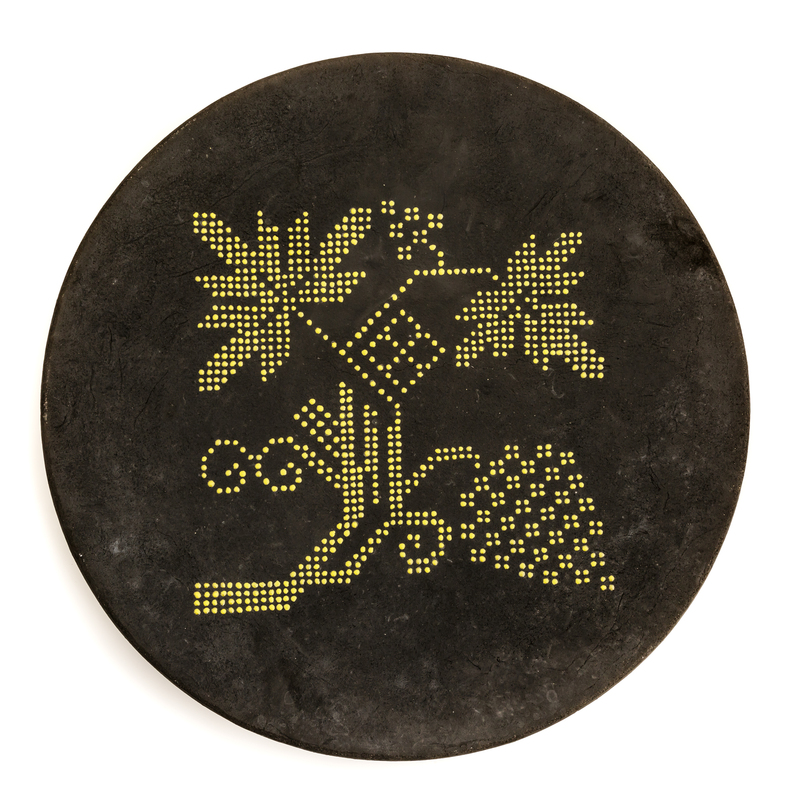 The decoration of this large matte black plate recalls the traditional motif Sa Ide, the vine, of local weaving, reinterpreted adding a refined contemporary effect to the monochrome graphic features of the design. Caterina Porcu crafts ceramics in her own experimental style, following a natural artistic bent and putting her self-teaching into practice. In 2009 she set up her workshop Luce Buio in Oristano, a centre with strong roots in the traditional ceramic craft, with the invaluable support of her children, Rosanna and Alessio, who both attended Art School. She produces home décor and pottery with neatly sculpted lines, as well as artefacts with a strong artistic and pictorial impact. She recalls local traditions by reproducing decorative shapes and motifs that combine various techniques in an experimental fashion, in particular the Raku, naked Raku and Raku Pit firing variants. The artefacts of Luce Buio are present in the main local artistic ceramic shops and outlets and are also exhibited in the major fairs of artisanal excellences in Sardinia. The production counts different lines of home décor which are mainly grouped by technique: the raku technique is used in the collections Macchia, featuring contrasting bright coloured enamelled glazing on matte black; Pibiones, that revisits the local weaving patterns with precise contemporary graphic motifs; Bianco e Nero (Black and White) line of glasses, cups and teapots with an oriental touch. 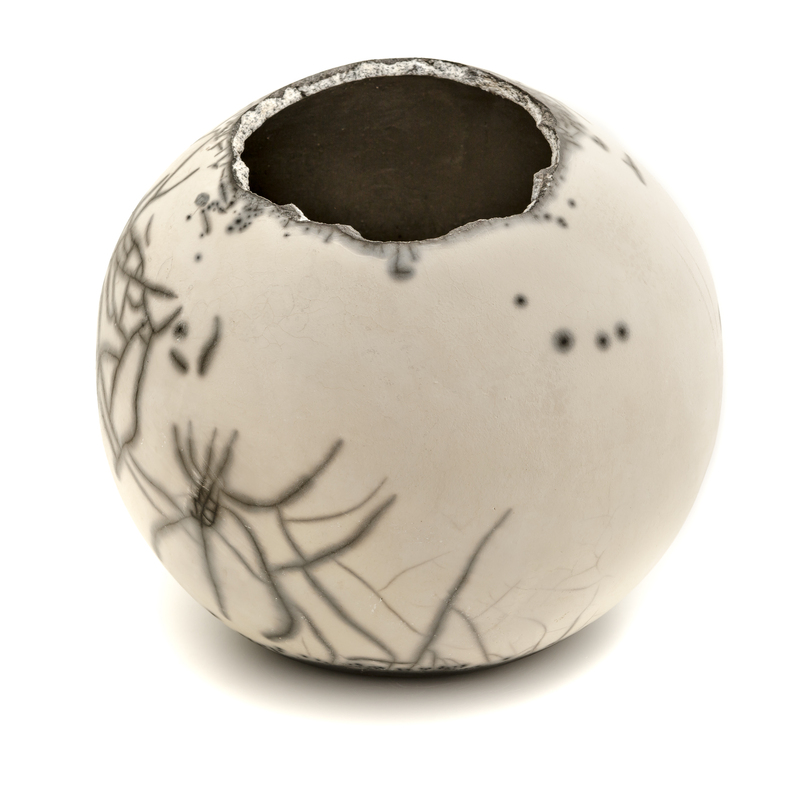 The naked raku technique is used to produce the Ragnatele (Cobwebs) collection, i.e. bowls, bases for lamps and vases of various sizes, featuring an elegant contrast between matte black and white. 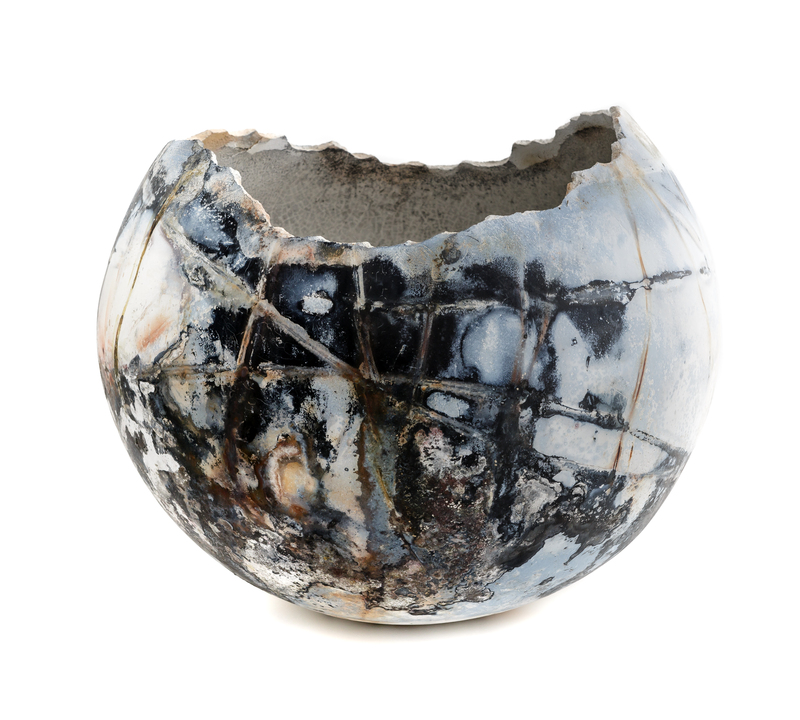 The Raku Pit Firing technique is used for the collection Le Terre: vases, receptacles and bases for lamps characterised by exquisite marble effects in grey, black and amber. Glazing is used for the Blu Persiano (Persian Blue) and Rosso (Red) lines. Sfera (Sphere), which is highly representative of this workshop, is an iconic object crafted using many techniques. The Raku, Naked Raku and Raku pit firing techniques have a strong experimental nature. In addition, enamelling and ceramic glazing applied using an airbrush, or by pouring or immersion, are performed. Plate-shaping, lathe-shaping or moulding are adopted, depending on the features of the artefact. Decorations are paint brushed with mixed technique.